From the mainstage all the way to the RESISTANCE Island, Ultra Music Festival Miami will change your life forever, for the best. 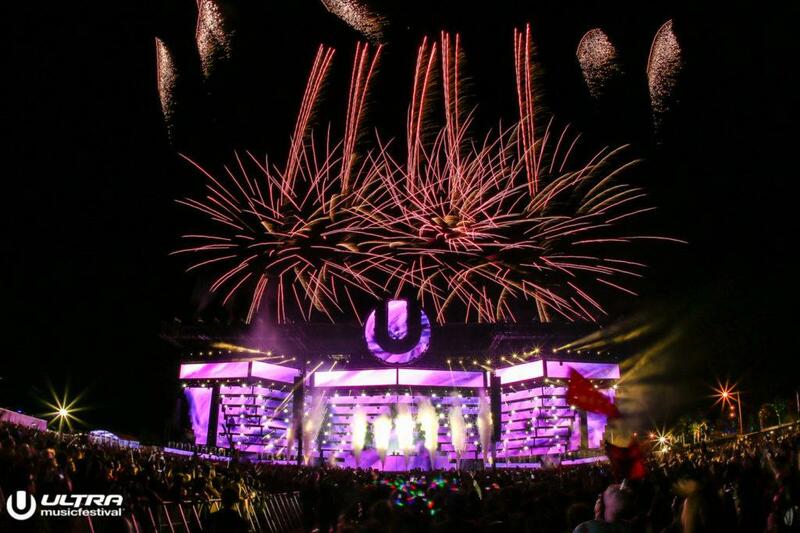 One week ago, today, Ultra Miami was closing its 21st edition. This time, because issues with Downtown residents, the festival was forced to move to Virginia Key. Far away from the skyscrapers of the Miami skyline but, still in Miami. The story I’m going to tell you it’s my personal experience of the festival. Let’s take a step back talking about the relocation on Virginia Key. 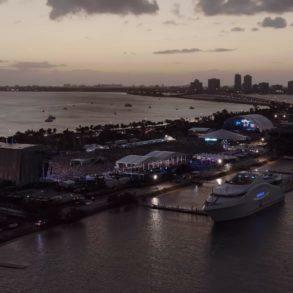 Because of the new location, Ultra has set up a shuttle bus service and a ferry service, both aimed to bring people from and to the festival. Shuttle buses were divided into three lines and were free with the festival ticket instead, the ferry line was available at a prize of $ 100. Thanks to the huge spaces available in Virginia Key, Ultra has split up the festival between the Marine Stadium (mainstage, live arena, worldwide stage, and UMF stage) and the Historic Beach Park (RESISTANCE Island), both linked by a 1.5 Km route, practicable on foot. With this general knowledge of the festival, let’s jump into day 1. If you want to skip my story, going directly to my final thought on the festival, click here. Day one started with me heading to American Airlines Arena around 2 pm to get the bus that would have brought me at the Marine Stadium. After 20 minutes of wait, we were on route for Ultra. Because the super early time of arrival, the entrance of the festival was smooth without problems. I rented a locker where I’ve deposited my stuff to move around the festival easier. Even if I spent most of Day 1 on the front row of the mainstage, I also managed to explore the Marine Stadium. Compared to Bayfront, the new Virginia Key location was much much larger, with tons of space for moving and rest. Live Arena, Worldwide stage and UMF Radio were very close to each other, too much closer. Image the three stages as the vertices of a triangle; in the middle you were able to hear all the three stages at the same time. Not the coolest thing in the world if you ask me. The situation was better walking closer to every stage but, especially during the last 4 hours of the day, with the festival at its maximum capacity, it wasn’t easy. Anyway, coming back to the front row of the mainstage, the situation was slightly better. Even if I were at less than 2 m from the subwoofer, the audio quality was brilliant (I was wearing earplugs, obviously). Day 1 went very smooth inside the festival, with extraordinary performances from Nora En Pure all the way to Alesso. I left the mainstage to have a look at what’s going on on the other stages at the end of Alesso. Exciting has been Odesza on the Live Arena with a brilliant performance. About the Live Arena, the stage should have been bigger, considered also the area available. People were packed and, as soon as you were moving away from the stage, the sound bleeding from other stages was worst. Besides some isolated cases of annoying people on the crowd, day 1 at the mainstage went smooth. Mainstage’s visual was on point as well as fire, pyro, lasers, CO2, and fireworks. I’ve decided to left the festival at the beginning of Marshmello to avoid huge lines for shuttle buses. It’s from this moment the problems for Ultra Miami 2019 started. As we’ve described in a previous article, Ultra Miami messed up with the transportation system that was supposed to bring all the people from Virginia Key to the mainland. Almost all of the crowd was forced to run across the Virginia Key bridge to get back home, walking for kilometers after almost 12 hours at the festival. The massive exodus of people was also possible thanks to the coordination of the Miami Dade and Virginia Key law enforcement, that took control of the situation. I’ll tell you my point of view on the problems happened on the first day at the end of the story so, for now, let’s go on. Key performance of Ultra Miami day 2 has been, for sure, the Martin Garrix mainstage closing (yes, I’m a fan too). For this reason, I decided to enter the festival as soon as possible; at around 2:20 pm I was already on the front row. My first impression, going to the festival, was that transportation to Virginia Key has been improved. The great number of buses already stationed at the hub was able to load people immediately without lines or delay. As you may imagine, be in the front row for 12 hours straight, dancing, under Miami’s hot sun, is physically hard. Luckily, Ultra Miami security occasionally distributed water to those who needed it. 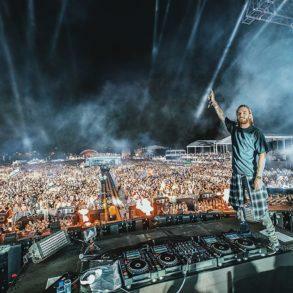 Day 2 was characterized by a huge rainbow of artists in terms of music genres; from Tchami to Zedd, Armin Van Buuren as well as Gud Vibrations who brought on the stage, Shaquille O’Neal. The former NBA player, literally, jumped and started to dance with the crowd. To avoid the mess of the shuttle buses happened on day one, I decided to left Martin’s set 30 minutes prior to the end. This is where things got interesting. With my big surprise (I was already planning to walk along the bridge to get home), Ultra Miami transportation issues were almost 100% fixed. With coordinate lines, buses ready to go on the pickup point and an overall efficient on the exit gate, I spent only 25 minutes in line. 40 minutes from the moment I got in line I was in my hotel room. I’ve described in details the huge day 2 transportation improvement in this article. With day 1 and day 2 spent at the marine stadium, I planned to explore the RESISTANCE Island during day 3. 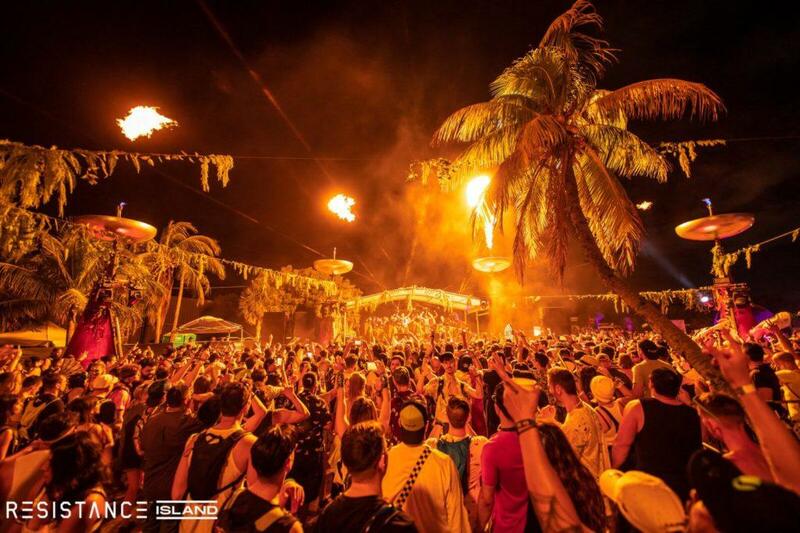 Because of its 1.5 miles distance from the mainstage and the complete different layout, RESISTANCE Island can be easily considered a festival in the festival. Once inside, there was this enormous lawn with, on the right the Arrival stage and on the left the Reflector stage. With picknick tables, food stands, art installations and wonderful arrangement of lights it seemed to have entered a parallel universe. Moving on from this first area, a path linked Arrival and Reflector stage to the megastructure. To make things more interesting, Ultra decided to put the ECO Village in the middle of this way. The ECO Village was equipped with a small stage surrounded by hammocks and the beautiful Virginia Key nature. This was the perfect place to recharge your energy before entering the megastructure. 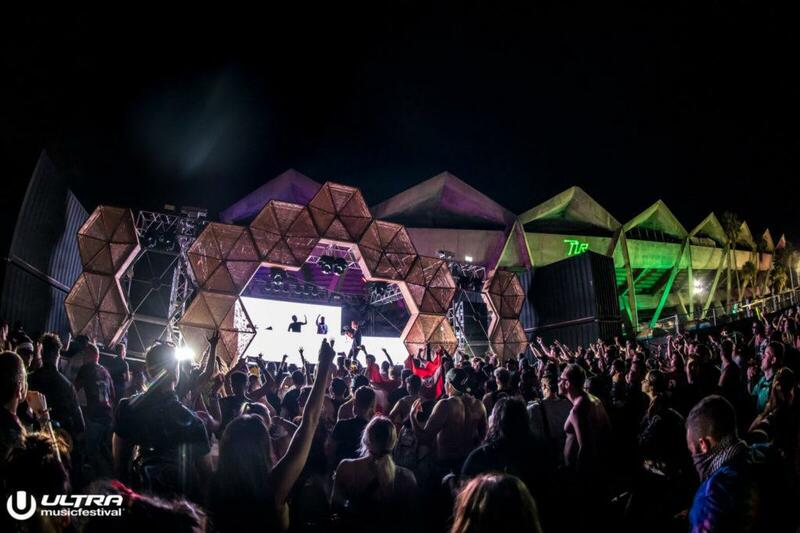 Moving led walls, incredible music and wonderful people were the keywords of the megastructure. I’ve to say, although I am not the hugest underground music fan, I almost enjoyed RESISTANCE Island more than the Marine Stadium. At around 1:30 am I was back at the Marine Stadium for the Grand Finale which was ok if you ask. 2 am, time to heading back to the hotel? No! On the UMF Radio stage, Martin Garrix and STMPD Records started an insane b2b2b2b2b which lasted for a good hour. 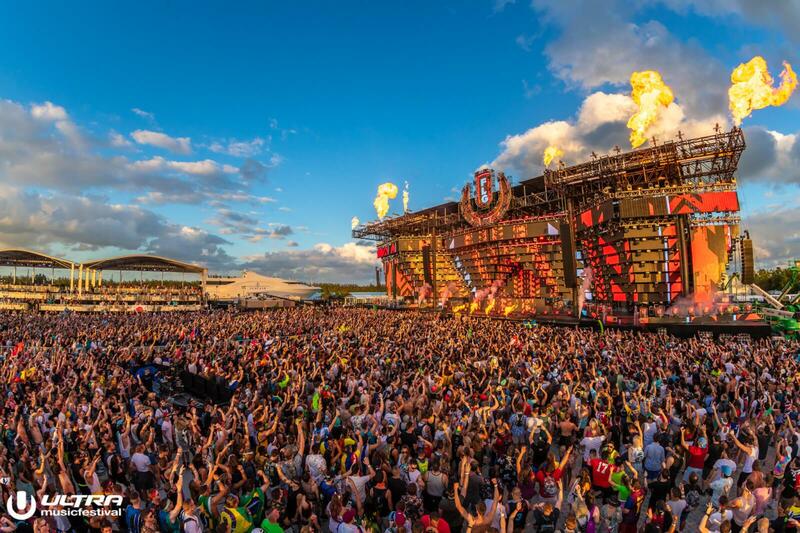 When you talk about Ultra in Miami, you think about the best electronic dance music festival in the world; long story short, it is, despite the problems. Ultra Miami has more than 20 years of success behind its back so, they’re used to set up such big festivals. This year, tho, it was different. 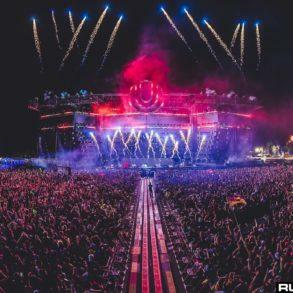 With the change of location less than 4 months prior to the festival, Ultra Miami had to compress the whole organization process in such a short window of time. We are all human, even who organize the world’s leading EDM festival. Yes, we have spent hundreds of dollars and Ultra had promised the best service ever, even in the new location. They surely have failed in some aspect (the most known, transportation for sure) but we can’t deny they’ve still worked day and night delivering, on the second and final day, what I personally consider the best festival experience a human being can have. Walking more than 7 Kms to get back home was a disaster but, sometimes, we just need to see the good part in it. During that long long walk, I’ve met so many amazing people, I’ve shared thoughts, talked about this and that and admired the Miami skyline and, I’m sure, lots of you have done the same. Even if I don’t rememebr a name of all that people, it’s something I’ll keep in my best memories. I want to make a special mention to the RESISTANCE Island, a paradise inside the festival. For some reason, people behaviors were way better, with tons of space to dance, move and rest. Even if the underground music environment wasn’t your favorite one, I would have given it a try. It’s a completely mindblowing experience. Even with its problems (all fixed over time), Ultra Miami is a life-changing experience, hands down. From the music to the location, stages, crowd and the vibes in general, Ultra Miami will be your final festival destination. Let’s stop raise Bayfront Pack as the perfect venue for Ultra, because it’s not.